How to Teach the Alphabet! In this post, I’m going to tell you exactly how I teach the alphabet, all 52 letters and sounds! 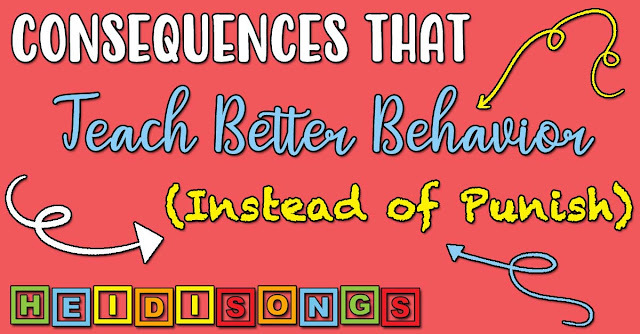 I’ve been refining this basic method for many years as a Kindergarten teacher and now this year as a TK (Transitional Kindergarten) teacher, which is similar to Pre-K. My method uses movement, music, manipulatives, and mnemonic devices (things to help jog the memory) to help kids learn. Kids love it because it is fun and active, but the most important thing is that IT WORKS! Read on to find out more, then share what works best for you! 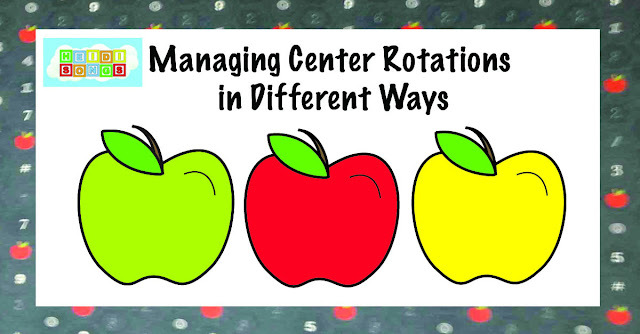 Of course, I do many other things as well, such as centers and games. But I really think that the things that make the MOST difference are what I have written below. 1. Introduce the entire alphabet on day one of school with ZooPhonics, and then review it every day. 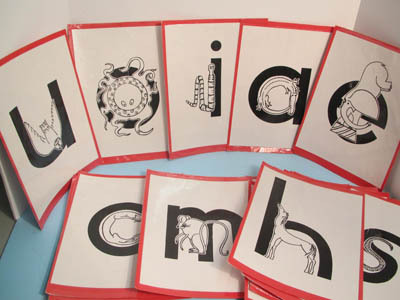 ZooPhonics is a multi-sensory method of teaching the alphabet. In it, kids are shown a letter with a character on it, such as an alligator on the A. They make an alligator chomping motion and the /a/ sound simultaneously while looking at the card, and this multi-sensory action helps them remember the letter sound quite well! I teach them all of the ZooPhonics cards with their motions and sounds on the first day of school. Then we just keep reviewing them EVERY SINGLE DAY (or as much as possible) until it seems like most of the kids know them all! 2. Start asking the children to tell you the letter names after they give you the letter sounds on the Zoo Phonics cards. 3. 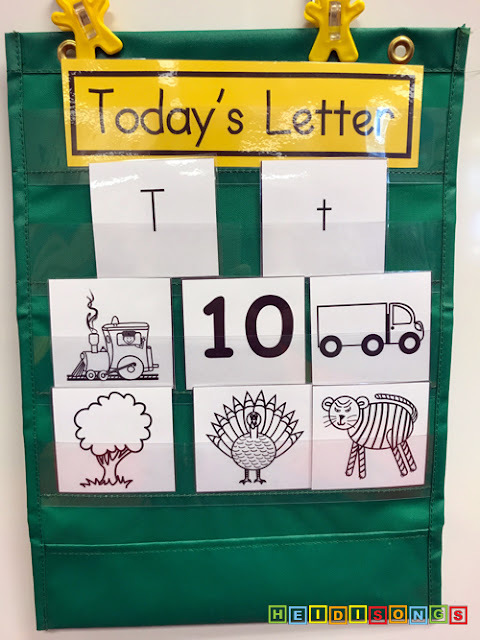 Begin “weaning them” off of the Zoo Phonics cards and onto plain letter cards. 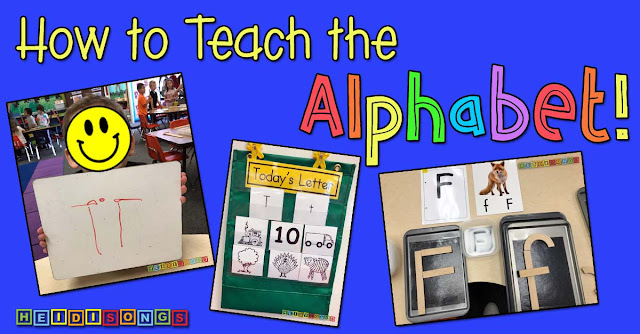 When it seems like most of them have step two, I start asking them to give me the letter sounds by only showing them the plain letter side of the ZooPhonics cards, followed by the letter name. If they can’t remember, I tell them I’m going to give them a quick “hint” and I show them just a quick glance at the back of the card with the ZooPhonics character on it. Normally, there is instant recognition of the sound! Then I have them tell me the sound and letter name again, doing the motion while looking at the PLAIN letter card at least two more times. This last step is important, because what I am doing is trying to get them to “imprint” the sound and letter name onto the plain letter rather than the ZooPhonics character. 4. Test your kids to see who is not getting it and work on it in small groups. Don’t wait to start helping those who are struggling! I know how hard it is to pull kids and test them individually, but once you’ve got it done, you’ll be glad you did it. Yes, I test kids at the beginning of the year on letters and sounds, but what I REALLY want to know after a few weeks is mostly this: Who is picking up on ZooPhonics? Are they getting the correct sounds? Once a child connects an incorrect sound with a letter, it can be VERY hard to correct. But fixing this early on is not so difficult! – talking with other children (heaven forbid!) and missing the lesson. In this type of scenario, children who are active learners and/or very compliant usually have it made! Children who are a bit shy, reluctant to participate, or hesitant to speak tend to learn more slowly. So it is IMPERATIVE that the teacher have a great relationship with the children and very good classroom management skills in place to make sure learning can happen. 5. 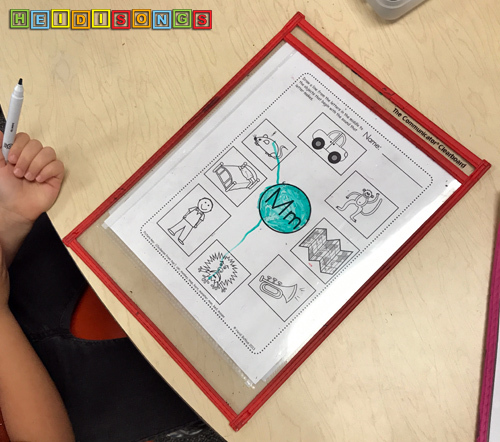 Drill ZooPhonics cards with struggling learners in small groups. This makes a HUGE difference! In small groups, you can see that each of them are looking at the cards, saying the correct sounds, listening to the lesson, and doing the movements. I also have parents pull the kids and work with them individually. I just leave a list and some cards for them. This extra attention seems to help tremendously! 6. Drill on one letter per week on your Focus Wall, with initial sound picture cards. 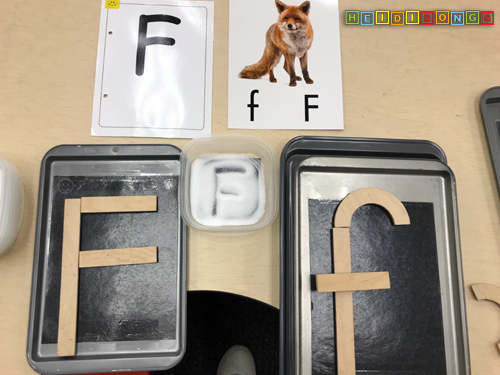 In addition to reviewing the ENTIRE alphabet DAILY via the ZooPhonics, I also focus on one letter per week to work on letter formation and to practice identifying its initial sound in words. 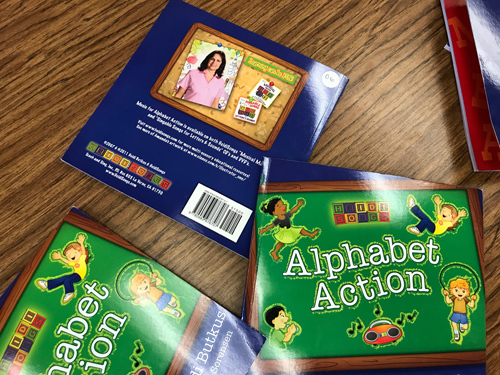 For this, I use the flashcards printed from my Alphabet Workbook, Vol. 2. That way, when we do the worksheets later in the week or for homework, they already recognize the pictures and know what they represent. (Win!) Example: For the letter F, they would see the capital F, the lower case f, and the following pictures: fan, flower, fish, frown, fight, fox. 7. Sing the HeidiSongs alphabet song for the letter of the week. 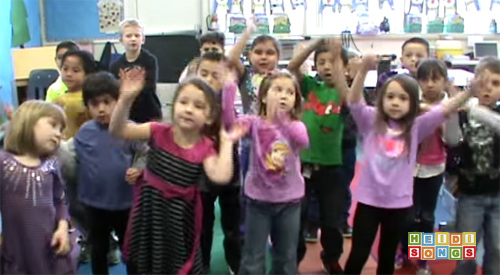 We sing the songs from the Letters and Sounds Animated DVD. So if it is F Week, we sing the F song, of course! I cue up the correct song I need before school and keep it open on my computer so that it is ready to go. We also sing the Alphabet Action song as often as possible, since it reviews all of the letters and sounds from A-Z. Once a Week in Small Groups- Do a Letter WRITING Lesson! 1. Show the letter and ask them to tell you the sound and words that begin with its sound. My kids can usually think of several things, because we have been looking at the focus wall cards. 2. Kids watch while the teacher builds the letter with sticks. 3. Let the kids build the letter with sticks! Have the kids build the letter a few times, tracing the proper letter formation on the sticks, and then repeating how to do it. For example, for the letter F they might say, “One line going down. Two across next! That is a capital F, F, F!” Throughout the lesson, I try to remember to keep asking, “What’s the letter sound?” just to reinforce it. 4. 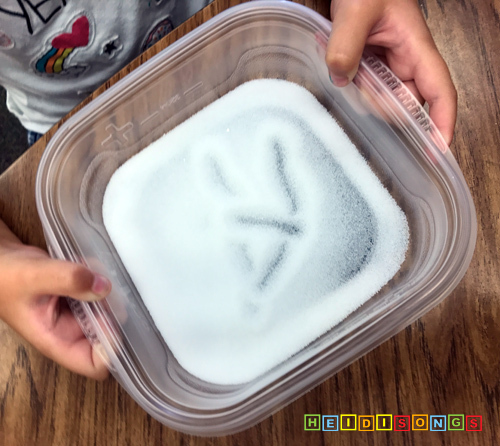 Everyone draws the letter in salt boxes! I use plain, old, CHEAP, food storage containers from Target with a black piece of construction paper taped onto the bottom to help the salt show up better. I meant to spray paint the bottoms of the containers, but the paper was working just fine, so I let it go. The kids LOVE this! Again, we repeat the target language of how I want them to draw the letter. Then they give the container a little shake to erase it and try it again! Again, I try to remember to keep asking, “What’s the letter sound?” to make sure they’ve got it. We have recently added colored Rice Boxes as well, but that’s not in the movie! The letter doesn’t show up as well, but they LOVE the rice and beg for it! If you decide to do this, I would get two bags of rice to color rather than one. 5. Everyone writes the letter on dry erase boards! I have everyone show me how they can write the letter on the dry erase boards. 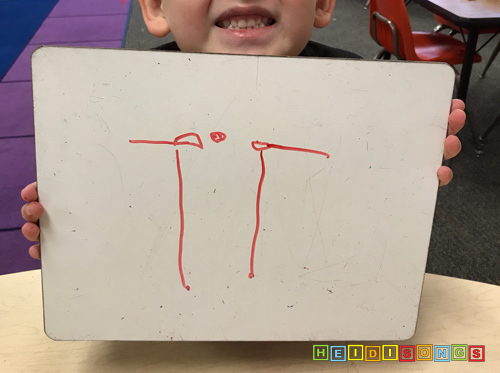 Once they have shown me that they can write it correctly and have told me the letter sound, they can draw something that starts with that letter. 6. Ideally, we would then write the letter with paper and pencil on my Alphabet Volume One worksheets, but that’s usually all their attention spans can take at that point! I save those for homework or for another center. 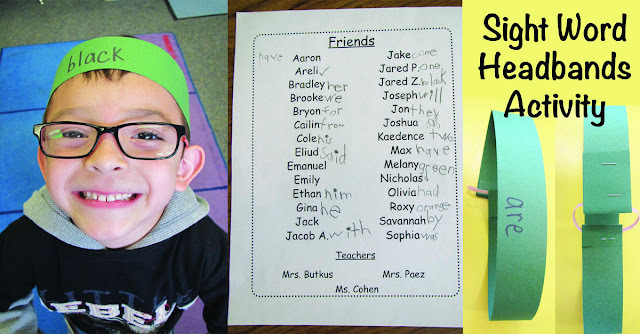 Once a Week in Small Groups- Do a Letter SOUND Lesson! 1. Do a sound sort with real objects. I have a box of beginning sound alphabet manipulatives that I inherited from the teacher that was in the room before me, and I use them faithfully! They sure come in handy, and the kids really enjoy using them. 2. Do a letter/sound matching worksheet. 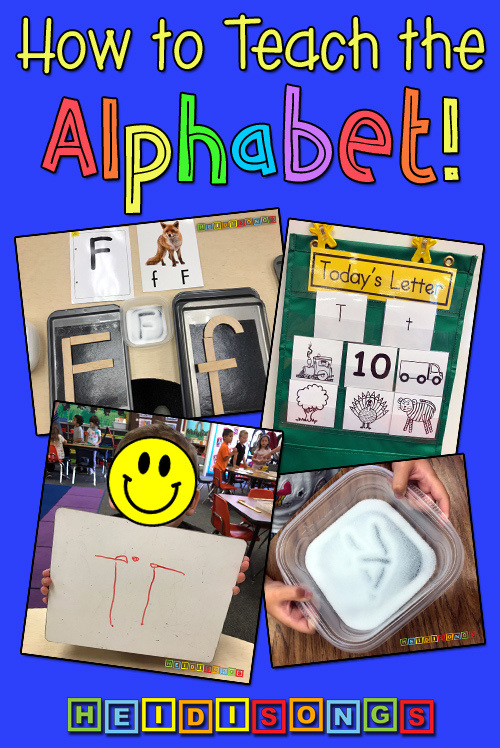 After sorting sounds with real objects, we switch to paper and pencil and practice writing the letter and finding the objects that begin with that sound on the Alphabet Workbook Vol. 2 worksheets. I also often send one home for homework. For young children, I do think that it’s just so very important to start with the concrete objects, and then move to the symbolic. That’s it for now! I hope that this is helpful to you! Next week, I’ll post more on what to do when your kids aren’t getting it. P.S. Here are some more examples of my letter songs from my animated Letters and Sounds DVD!